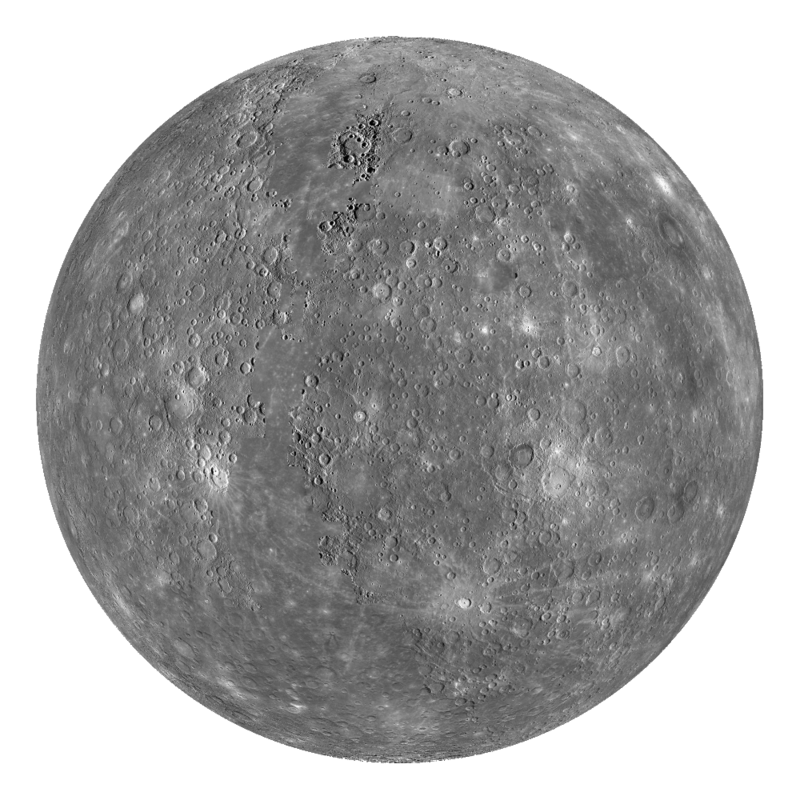 Mercury is the closest planet to the Sun and a little bigger than our Moon. It has no substantial atmosphere and appears similar to our Moon with its ancient, dead and cratered surface. Composite image of Mercury stitched together from the two year Messenger mission that began in 2011. 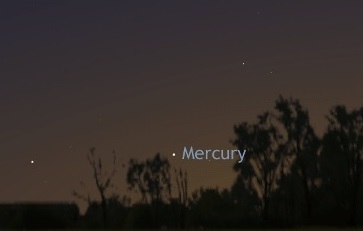 Mercury is always visible to the unaided eye as a bright star near the horizon just after sunset or just before sunrise depending upon it's orbital position at the time. The earliest known recorded observation is from the 14th century BC.